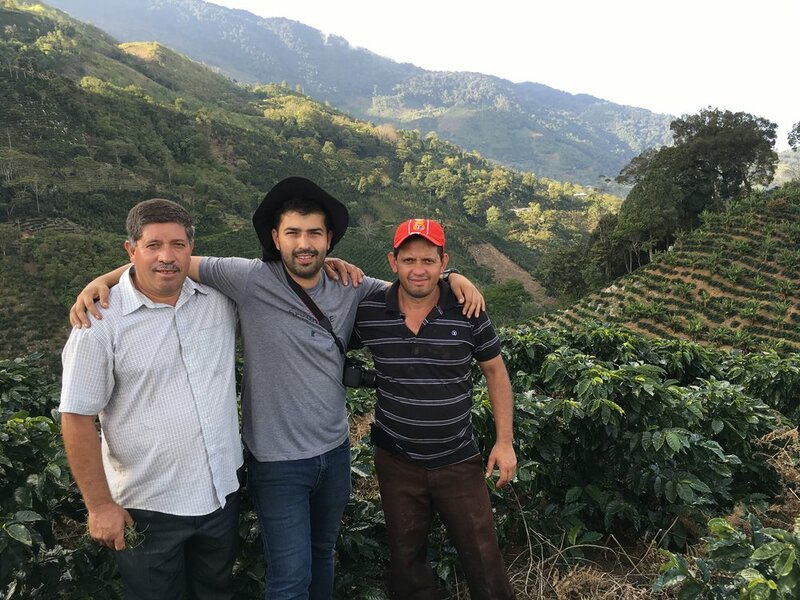 From L: Miguel Moreno, Benjamin Paz & Danny Moreno, Santa Barbara, Honduras. Brothers Miguel and Danny are from the Moreno family, who have been partners and friends of CCS founder, Robert Thoresen, for over 12 years. Benjamin is both producer and exporter of the coffees we source from Santa Barbara. Honduras can be accurately be described as the heart of CCS. Santa Barbara is where we have the strongest and longest connections amongst our origins partners. There is so much to say about these relationships, which you will discover in the blog posts below, and of course, exciting coffees are the cornerstone of those relationships. Coffees from Santa Barbara never disappoint: they are some of the most complex and unique of our offerings, year after year. Nelson Ramirez’s challenge has always been different to other farmers in Santa Barbara. His goal is scale.